Continue the epic journey as it unfolds in Star Wars: The Last Jedi! 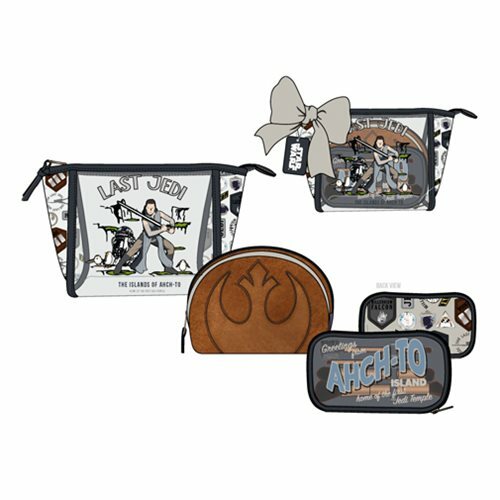 This Star Wars: The Last Jedi Rebel Travel Cosmetic Bag 3-Pack includes 3 different Rebel themed travel bags to hold all your supplies! Add a dash of Star Wars: Episode VIII - The Last Jedi to your wardrobe!